Universal Load cells possess advantages of low profile and high stability, are ideal for structual and fatique testing applications. Low height, high accuracy universal load cells for tension and compression measurement are compact designed ranging from 0.05 to 300 tonne and offer high natural requency. The stainless steel construction models ensure corrosion protection of grade IP66 or IP67 depending on customers’ demand. Typical applications for universal load cells include material testing in compression or tension, high capacity tension weighing and overhead weighing of cranes, compression weighing of hoppers, tanks and silos. Loadcells using strain gauge based technology are used to measure physical properties of compression, tension, bending or shear. Non-linearity (≤) ± 0.05% F.S. Non-linearity (?) ± 0.05% F.S. Temperature range -35? to +80? A Load cell is constructed using electric resistance metal foil strain gauge bonded to a spring material at points of maximum strain as the measuring element to convert force into a proportional electrical voltage. 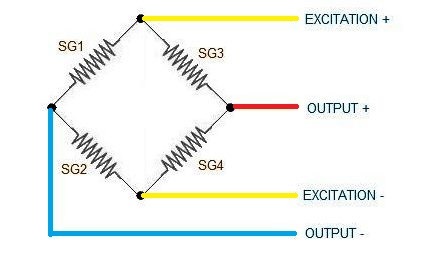 As the measuring signal obtained is very small, the strain gages in the central sensing area are wired in the form of a full Wheatstone bridge to increase sensitivity. The foil strain gauges are connected in the form of wheat-stone bridge as shown below. Full Bridge: strain gauges on all the arms of Wheat-stone bridge are active, they provide the highest output when stressed. This type of bridge is the least prone to noise because noise gets coupled on all the four arms and cancelled out. Another significant advantage of this bridge is temperature compensation. Half Bridge:load cells have two strain gauges connected in opposite arms. As all the arms are inactive, the change in signal is halved for the same amount of strain as compared to the full bridge. 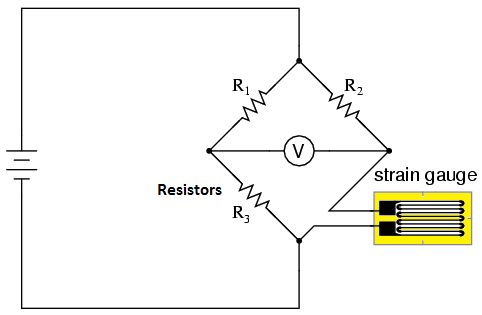 The performance of a half bridge is not accurate when temperature changes because of the different temperature coefficients of resistors connected on other two arms. Quarter Bridge:least expensive of the three types of bridges. But it generates the least amount of signal when strained and all the errors faced by a half bridge apply to a quarter bridge. Bestech Australia offers a broad range of products for the measurement of applied force and load. 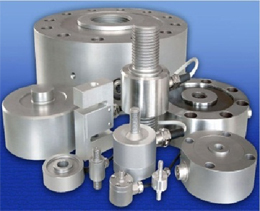 Force transducers and load cells are available in a variety of capacities and constructions for every application. Please complete the enquiry form below for specific information and advice on Universal.